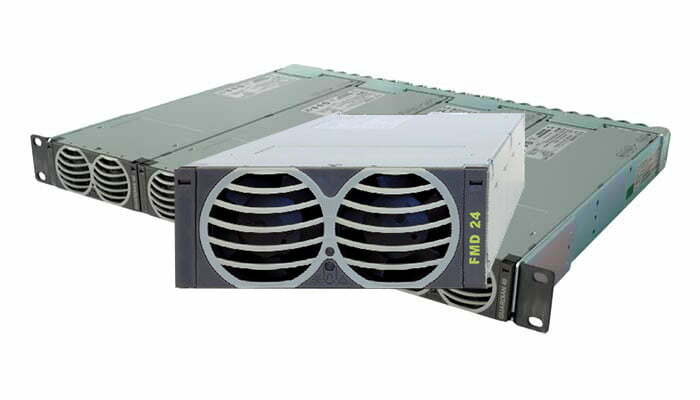 The Guardian FMD15.24 compact 1500 watt 48 volt input hot swap DC-DC converter supports up to 7.5kW in a 1 RU 23” shelf. It is fully compatible with the Guardian power system platform. Guardian rectifiers and converters can be installed in the same shelf for increased flexibility and monitored by a single system controller. Ideal for use in installations where both +24VDC and -48VDC equipment is utilized. The FMD15.24 1500 watt 48 volt input hot swap DC-DC converter meets international safety standards and displays the CE-Mark for the European Low Voltage Directive (LVD).